WWE reported to the United States Securities and Exchange Commission on Monday that Chairman Vince McMahon sold 306,000 of his shares in the company. According to Sean Rueter of Cageside Seats, McMahon netted nearly $23 million in the sale. That is merely a drop in the bucket for McMahon, though, as he still owns 32 million shares worth an approximate $2.3 billion. In total, McMahon sold off only about one percent of his stake in WWE. 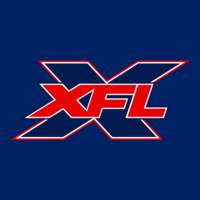 The decision to sell some shares may be in relation to the upcoming launch of the XFL in 2020. So we are around 523 million now? Setting up the XFL for success! There’s some big expenses with the league. The expenses come in paying for the stadium rent/leases and league wide insurance. There’s a lot of expenses when it comes to running and starting up an entire league with just 1 person’s finances.